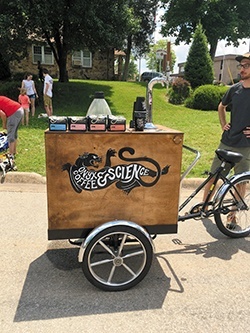 Onyx Coffee Lab of Springdale now has an eye-catching mode of transport for its specialty cold-brew coffee, in the form of a decked-out cart-slash-bike. It’s technically on three wheels, with two in the front to stabilize the cart. It will hold up to six 5-gallon kegs and a small nitrogen tank, although Onyx’s Nitro Cold Brew is usually infused with nitrogen at the company’s warehouse, said co-owner Jon Allen. Allen said there is a quality-control issue with serving many of Onyx’s hot coffee drinks away from its cafes, but the Nitro Brew is a “fun and interesting product” that also works for catering. However, while it might prove to be a successful marketing technique, the original idea behind the cart was tied to mobility. “The bike came out of the desire for an easily transportable coffee cart,” Liftee said. He said the bike rides pretty well, except for on hilly terrain, and in those cases it can be pushed. Liftee has observed a handful of similar carts in larger cities. He’s also seen maybe two other coffee bikes on social media. 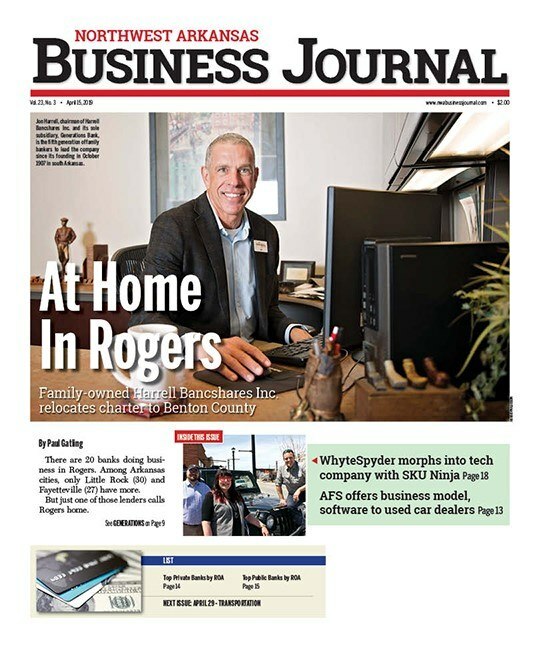 Onyx opened in 2012 and also has branches in Fayetteville and downtown Bentonville. The company brews 4,000 pounds of coffee per week, about two-thirds of which goes to out-of-state cafes, Allen said.